Ron Estay began his football career with Louisiana State University. In 1972, he was drafted by the Denver Broncos in the eighth round of the NFL draft and was picked up later that year by the BC Lions. This outstanding defensive end was traded to the Edmonton Eskimos midway through the 1973 season where he stayed until his retirement in 1982. 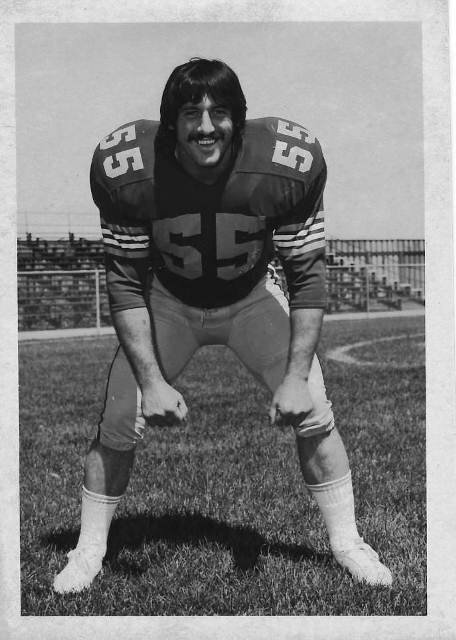 Ron Estay was the team’s defensive captain from 1973 to 1976 and excelled in this position. Among his many contributions to the team, Estay tied the CFL record in 1974 with the most sacks in a game with five. Estay was a two-time All-Canadian and a four time All-Western. He played in nine Grey Cup championships and was on the winning end six times. Ron Estay is a member of the Louisiana State University Hall of Fame and the Alberta Sports Hall of Fame.